Pastels on the plaza is an annual event in Arcata California, and is put on as a fund raiser for a local children’s center. 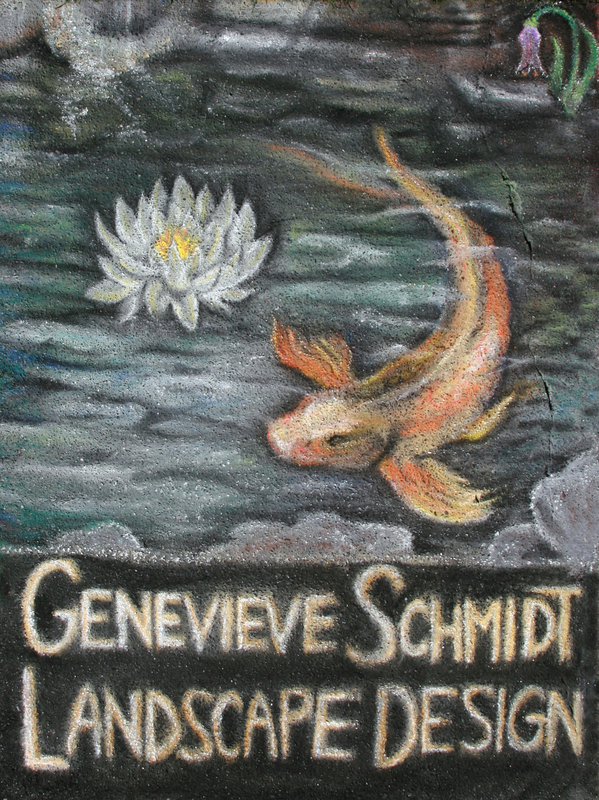 Local businesses can donate a hundred dollars for a three foot square (two hundred for six by three feet) to have a local volunteer artist draw a picture with the company name attached on the town square. It’s a great example of an event where everyone wins, from local businesses and artists, to the public who comes to see the end results, and of course the children who benefit from the charity. I’ve been going to this event for eighteen years now, and the square above is the first time I can recall seeing two artists with a seamless transition between their squares. I did the third on the right for Arcata landscape designer Genevieve Schmidt, while the two thirds on the left were done by local artist Leah Vaughn For Holly Yashi Jewlery. 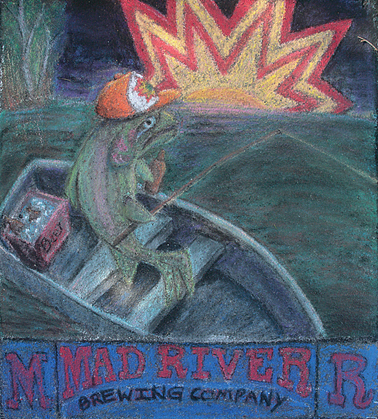 Her husband Casey Vaughn did the square below for Mad River Brewing Company, and managed to work their Jamaica Sunset logo in nicely. 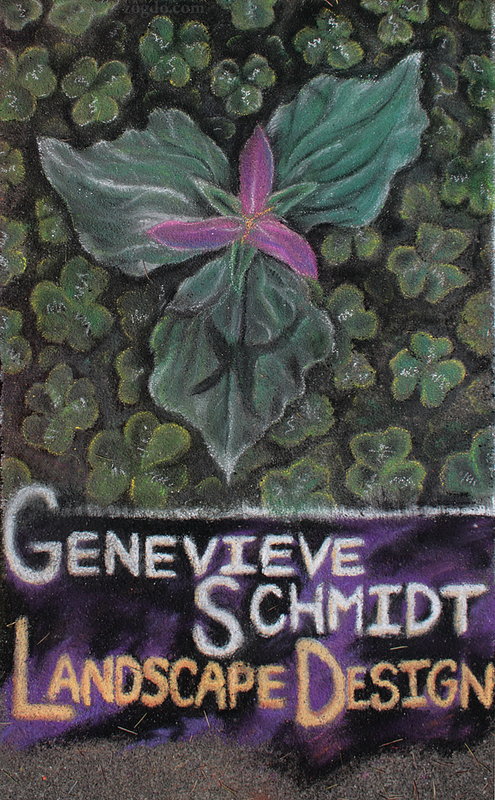 This was my second year participating in the event (Pastels on the Plaza 2008 entry), and I’ve already found that the weather has a big impact on the end result. The even tis held on the first Saturday of October. Last year it was raining when I got there and I started drawing in a puddle with chalk pastels. The results came out fine as they dried, but it was a bit daunting. This year the weather started out beautifully, until it very suddenly got windy, at which point the chalk started blowing right off the sidewalk, destroying the finer details and highlights and making it hard to continue.I’ve also found it very helpful to have someone else to do the lettering (thanks Meadow! ), as this stuff isn’t as easy as it looks on the Internet. This shot from the 2008 Pastels on the Plaza should give you a better feel for the event itself. There are usually around a hundred entries, about an eighth of which can be seen in the photo. 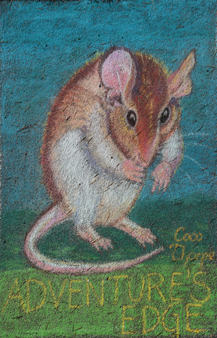 The mouse below was done by Coco Thorpe, a talented veteran of the event and master of all things chocolate. 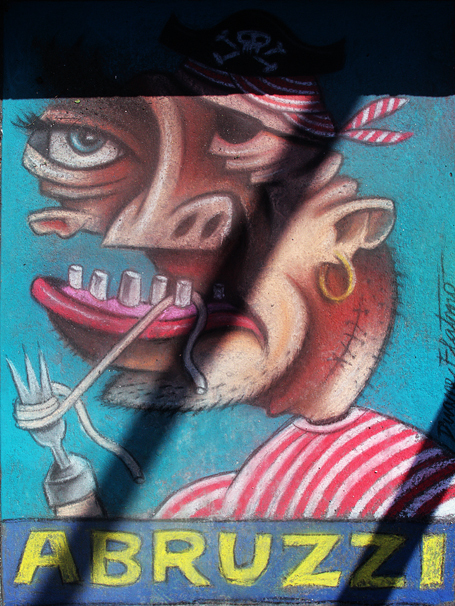 Probably our most famous local eccentric artist, Duane Flatmo (you may remember him from his appearances on Jay Leno, America’s Got Talent, or our previous photos featured recently on Environmental Graffiti of his giant steel firebreathing dragon. He had an oversize square protected from the wind, but not unfortunately from the shadows. My apologies for the picture quality. The picture below I didn’t get a full picture of but I believe it was done by Jerry Lee Wallace for the Humboldt Family Service Center. 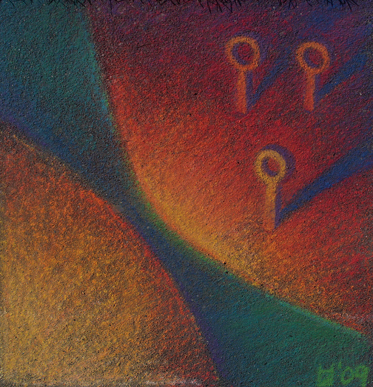 I’ve long been a fan of his pastels, which are always instantly recognizable and of similar theme. His is the one I always seek out first, though I’ve never met him. I’m already looking forward to next year and will likely make this an annual post. Awesome! I look forward to seeing this year’s entry. I’ve already got mine figured out I think.